Kondo Kunimatsu Seisakusho, Nagoya, 1954? 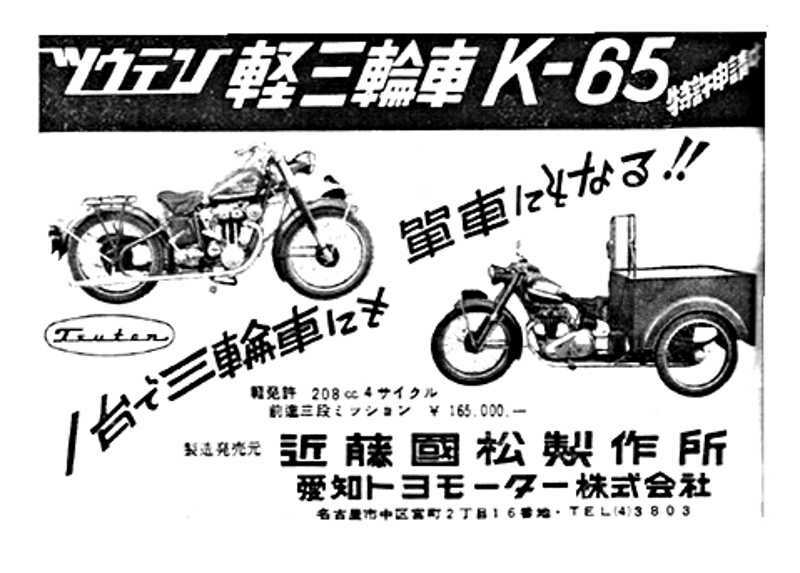 This company appears to have offered a small 208cc 4 cycle in both a two wheeled and three wheeled version under the name Teuten (ツウテン号). Other than that, nothing else is known.